Throttle Lock has been designed as an easy to use, highly visible, theft deterrent for scooters, motorcycles and ATVs. Throttle Lock works by locking the brake lever to the handlebar, preventing the vehicle from being pushed or ridden away. Made from glass reinforced plastic which is impact and saw resistant, Throttle Lock is more visible than a disc lock, easier to install and impossible to forget. 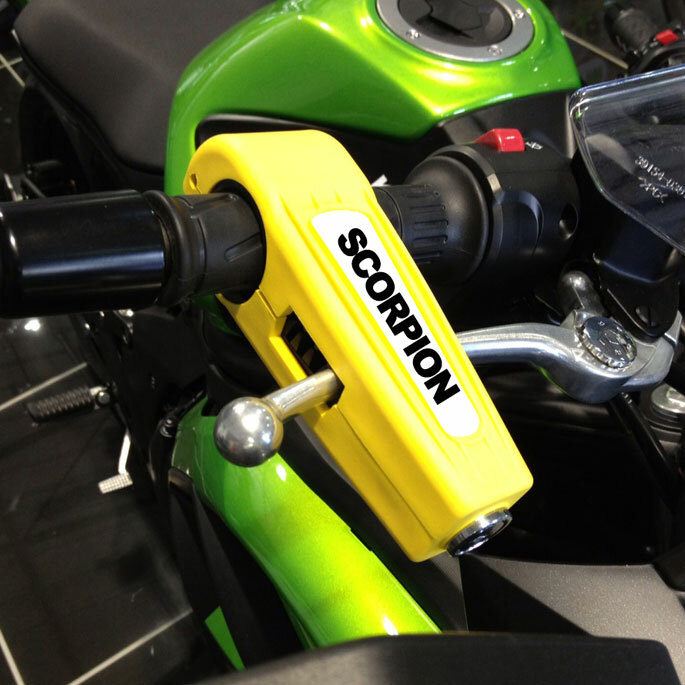 Croc Lock has been designed as an easy to use, highly visible, theft deterrent for scooters, motorcycles and ATVs. Croc Lock works by locking the brake lever to the handlebar, preventing the vehicle from being pushed or ridden away. Made from glass reinforced plastic which is impact and saw resistant, Croc Lock is more visible than a disc lock, easier to install and impossible to forget. To view the Frequently Asked Questions for Throttle Lock please visit our FAQ section here.